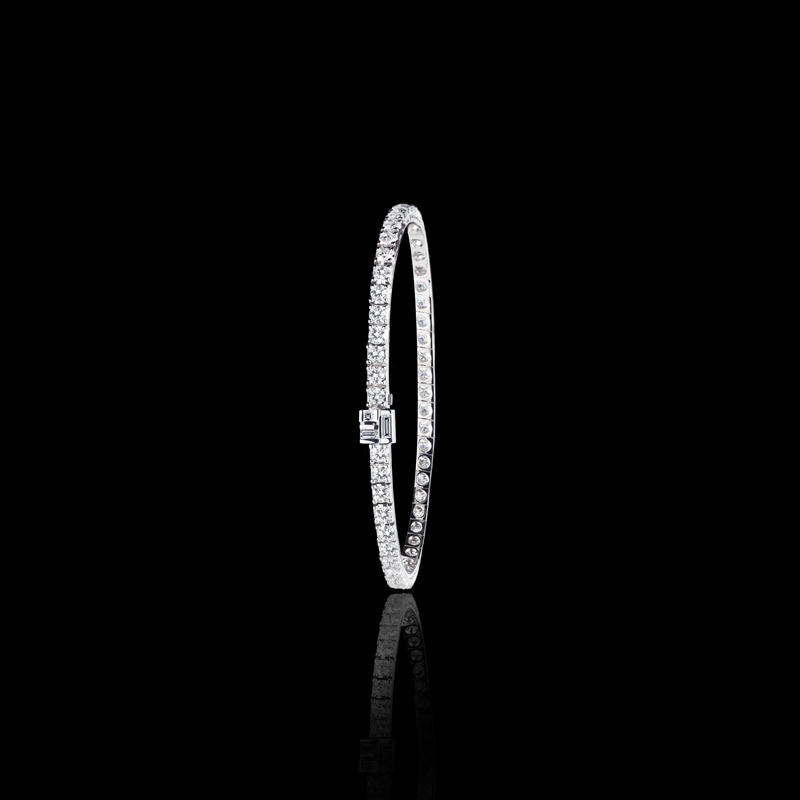 Canturi line bracelet featuring round brilliant cut diamonds with baguette and carré cut diamonds in a Cubism clasp detail handcrafted in 18ct white gold. An ultra fluid interlocking geometrically mastered diamond bracelet cuff in Stefano Canturi's signature Cubism design. Created in 18ct white gold. Canturi Renaissance micro scalloped diamond band with round brilliant cut diamond set in 4 claw Dream setting. In 18ct white gold, also available in yellow gold or pink gold.